The objective of this project is to conduct a national winter maintenance meeting for Aurora, Clear Roads, SICOP, PNS and the FHWA to share research results from the Peer Exchanges held in 2007 and 2009, get updates from each snow-belt state, and discuss other issues related to winter snow removal operations. This project involves the creation of a supervisor evaluation tool which can measure a supervisor’s ability to incorporate RWIS and risk management into their decision making process. The objective of this project is to create a do-it-yourself guide for RWIS sensors, servers, data bases, web displays, etc. The objective of this effort is to determine the upfront costs vs. long-term benefits for implementing MDSS systems. Also, determine necessary equipment, how to best equip the trucks, and quantify secondary benefits of equipping the fleet for MDSS. 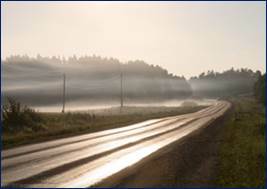 This project will compile potential funding sources and approaches that state department of transportation agencies can tap to fund the road weather management program. This would include funding partnerships, grants, standard allocations, and shared cost opportunities. 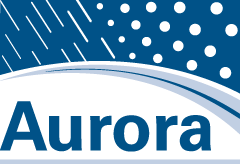 Aurora will be co-sponsoring a third National Spring Maintenance Peer Exchange on September 20-22, 2011, in Bozeman, Montana. The first exchange was held in Columbus, Ohio in 2007 and the second held in Madison, Wisconsin in 2009. These events have been held in response to the need to bring state DOT snow and ice control experts and the public sector providing services, equipment, and materials together to share information, network on snow and ice control related issues, and develop research problem statements. Other sponsors of this event include Clear Roads, the FHWA, the AASHTO Snow and Ice Pooled Fund Cooperative Program (SICOP), and the Pacific Northwest Snow Fighters. These research organizations were included in the discussions so they would better understand where the knowledge, technology, and communication gaps existed so strategies could be developed to bridge those gaps. A website was created for the peer exchanges and has been updated several times to document the progress made on the 53 research needs statements that the 2007 and 2009 Peer Exchange attendees identified. The “2007 and 2009 National Spring Maintenance Peer Exchange Final Reports” are also posted on the website. Each final report contains a summary of the evaluation forms completed by the attendees. In fact, ninety-five percent said they would be interested in attending a future peer exchange meeting.